Your LEGGETT agent Mr RABII offers you this large property 10 minutes from Sainte Ménéhould, . . . 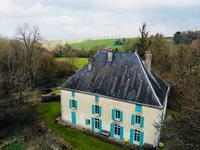 Your agent LEGGETT Mr RABII offers you this beautiful 16th century property in the Meuse with . . .